Here are the prices at the grocery store around the corner from my house; they're as competitive as anywhere else in the area, and... yowza! They've been creeping up for awhile. I buy the middle one. 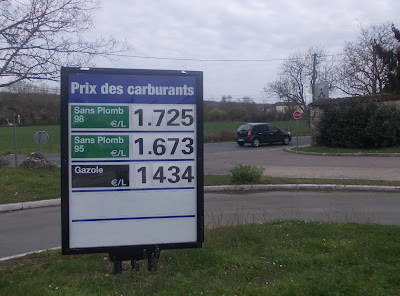 At 1.67€ a liter, that's 6.32€ a gallon. According to www.oanda.com that converts today to $8.28. That compares with $7.57 in January. Quite a hike. 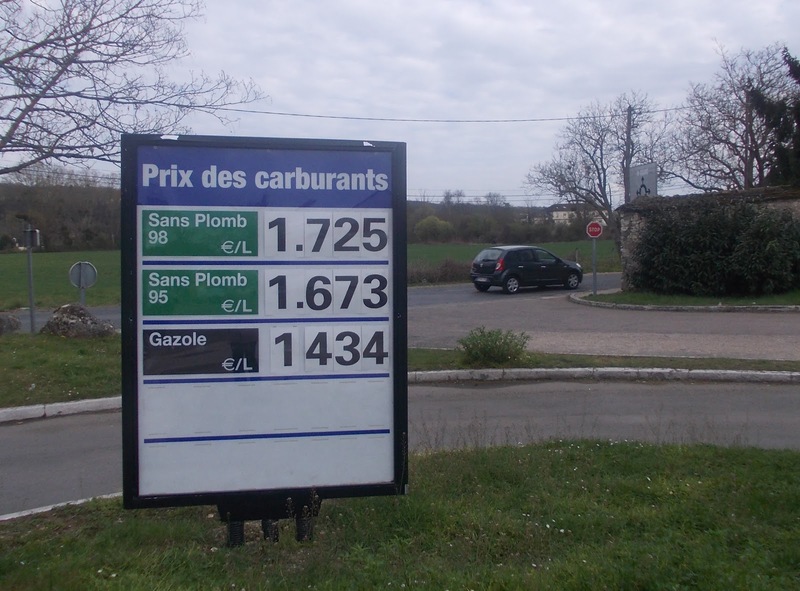 Bernard buys the gazole (diesel) for his van, so at 1.43€ a liter, that's 5.41€, which is $7.08. You know, the cheap one. Thankfully, we don't need the really high level stuff. That checks in at $8.58 right now!